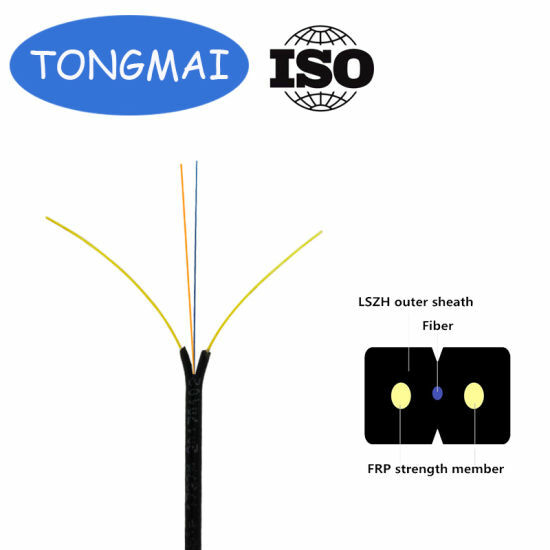 Optical Fiber, Fiber Cable, Fiber Optic Cable manufacturer / supplier in China, offering Drop Cable 2 Core Fig 8 Fiber Cable for Network Communication, 0.9mm PLC Splitter 1X2 1X4 1X8 1X16 Sc/Upc Sc/APC Steel Tube with Connectors and Without Cassette Type, 1: 2 1: 4 1: 8 1: 16 Sc/APC Sc/Upc Bare Fiber Optic Y Plug-in Beam Splitter for TV and so on. Drop cable 2 core fig 8 fiber cable for network communicationis commonly known as indoor suspension cable.With a good development momentum in the domestic optical fiber access market, Drop cable 2 core fig 8 fiber cable for network communicationcableaccess has become a hot spot in the field of optical communication.In the Drop cable 2 core fig 8 fiber cable for network communicationaccess project, the indoor wiring near users is the most complex link. 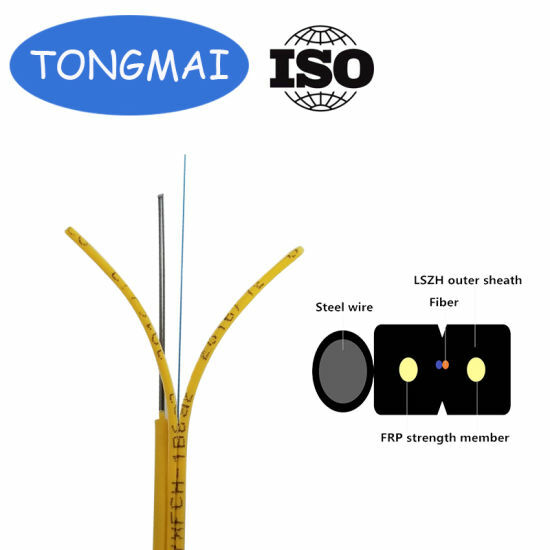 The bending and tensile properties of conventional indoor cable cannot meet the needs of FTTH(fiber to home) indoor wiring. 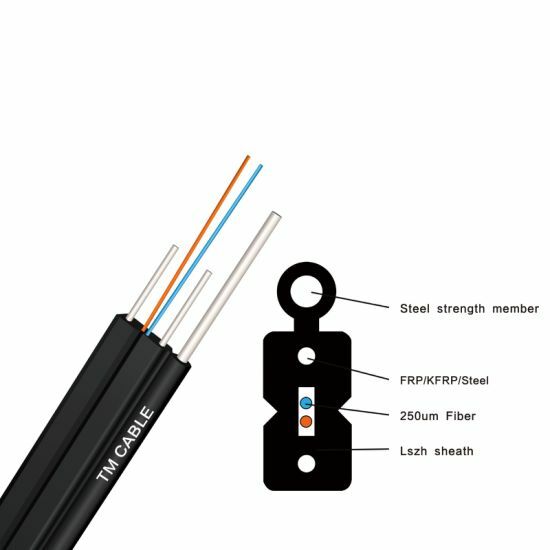 Drop cable 2 core fig 8 fiber cable for network communicationcommunication unit (optical fiber) is located in the center, and two parallel non-metal reinforcing parts (FRP) or metal reinforcing parts are placed on both sides. 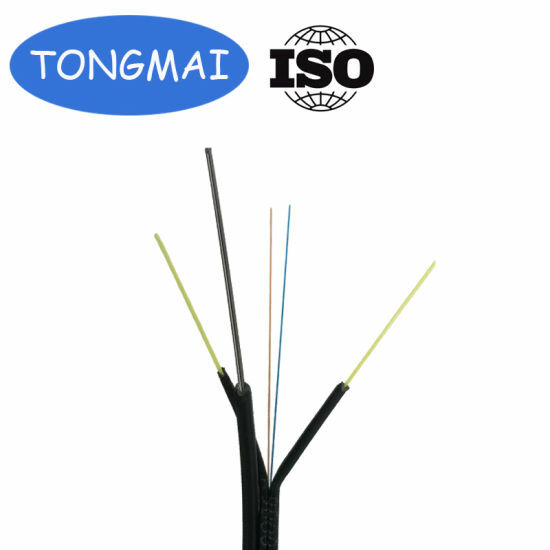 Finally, the protective sheath of black or colored polyvinyl chloride (PVC) or low-smoke halogen-free materials (LSZH, low-smoke, halogen-free and flame retardant) is extruded. The optical fiber unit is positioned in the centre. Two parallel Fiber Reinforced Plastics (FRP) are placed at the two sides. A steel wire as the additional strength member is also applied. 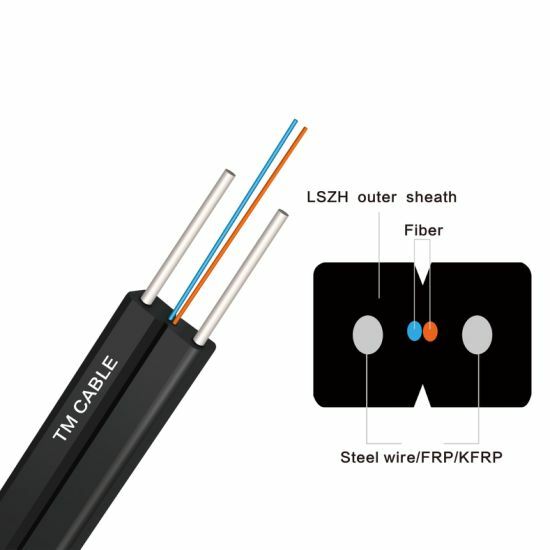 Then the cable is completed with a black LSZH sheath. 1. 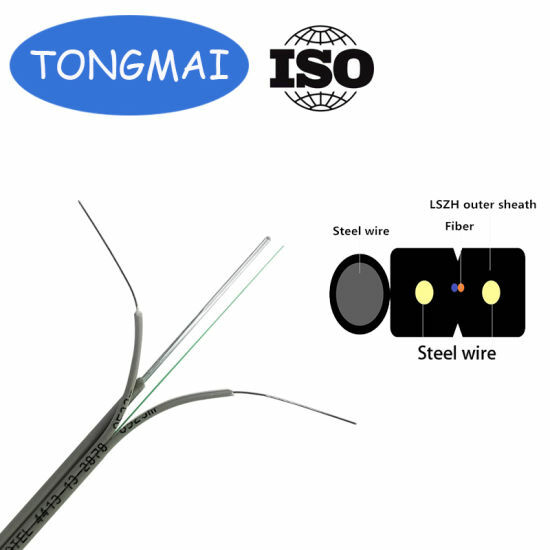 Special low-bend-sensitivity optical fiber, providing greater bandwidth and enhanced network transmission characteristics. 2. Two parallel FRP strength members ensure good performance of crush resistance to protect fiber. 3. Simple structure, light weight and strong practicality. 4. Novel flute design, easily strip and splice, simplify the installation and maintenance.